Personally, I would be stoked if I was assigned that list as a writing prompt. So much potential! But the problem is that Riverdale oftentimes feels like just that: a laundry list of element that the writers are trying to include simply because they can. In Season 2 especially, it didn’t feel like there was a deliberate vision driving the story forward from Episode 1 to Episode 22. It felt very haphazard, like the writers were just making crap up as they went. This sometimes results in entire episodes where it feels like absolutely nothing is happening. We’re not learning anything new about the mysteries of the last episode. The new mysteries that are revealed are only vaguely related to the mysteries we actually care about. However, in such an episode I can pretty much guarantee that within the last two minutes a Jughead voiceover is going to come on and say “but that was nothing compared to what went down that night. It would haunt Riverdale forever.” Insert shocking image of dead body here. But it turns out the season long arc has issues too. The main mystery of Season 2 is figuring out who the “Black Hood” is. Said Black Hood is a serial killer who wears a black hood. There’s never really any conclusive evidence that all the various murders of Season 2 were committed by the same killer, save for the Black Hood’s claim that they are. I am also not convinced that the writers knew who they wanted the Black Hood to be when they first conceived of the character in earlier episodes. When it is finally revealed who the Black Hood is, I could not make my eyes roll as dramatically as they needed to. I was unsatisfied and still felt like if this was the truth, there was no reason why Archie and the gang wouldn’t have figured it out way sooner, even with Archie being as stupid as he is. It’s unlike the grand reveal at the end of Season 1, which was shocking but still made sense in its own bizarre way. I want to like Riverdale. I love the ballsiness of putting a murder mystery fanfic of a children’s comic on television. But anytime I actually try to watch the show, I’m disappointed in the subpar storytelling. 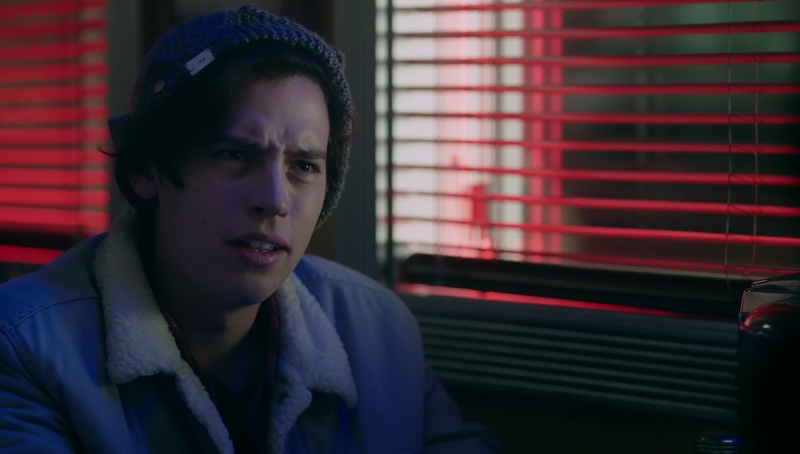 Riverdale is a toxic fuckboy that makes you laugh and smile and love him but his fear of commitment constantly leaves you confused and pissed off. Watching Riverdale is like watching your football team play a close game through three quarters only to fumble it away in the fourth. Riverdale is that significant other that can’t decide where to eat but rejects every place you suggest. It has so many things going for it but is just plain frustrating.